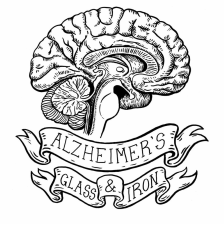 Trained professional metal artists work in a team to cast iron sculptures based off of paintings created by local elderly community members living with Alzheimer’s and Dementia. Artists make a pattern, then create a sand mold around the pattern. The pattern is removed from the sand mold and molten iron at 2200 degrees fills the void where the pattern once was. The cast iron sculpture is divested from the sand mold and finished using power tools. Finally, the sculptures receive a patina before they are shown alongside the paintings created by the elderly. The finished one of a kind sculptures created by metal artists are donated back to the nursing homes or to the families of the elderly artists. Alzheimer’s Iron artists also create multiple sculptures designed by elderly community members using a nontoxic clay produced by Crayola, called “Model Magic.” The elderly community member’s sculptures are then covered in a rubber mold. 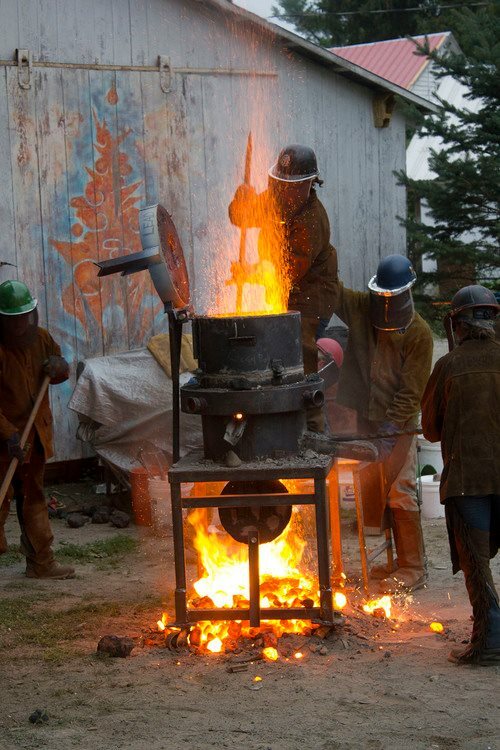 Multiples waxes are taken from each mold and are poured in iron using the lost wax foundry method. Multiples make it possible to have one sculpture at every dining room or activates table or alternatively, one sculpture for each adult child of the elderly artist living with Alzheimer’s and Dementia.